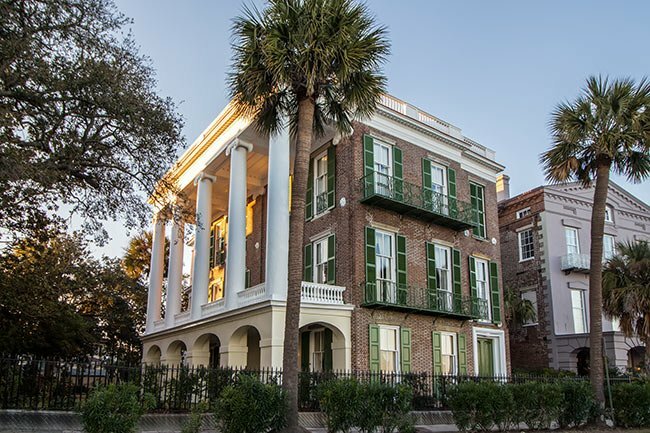 Considered one of the most significant Greek Revival homes in Charleston, the Roper House stands guard over High Battery. 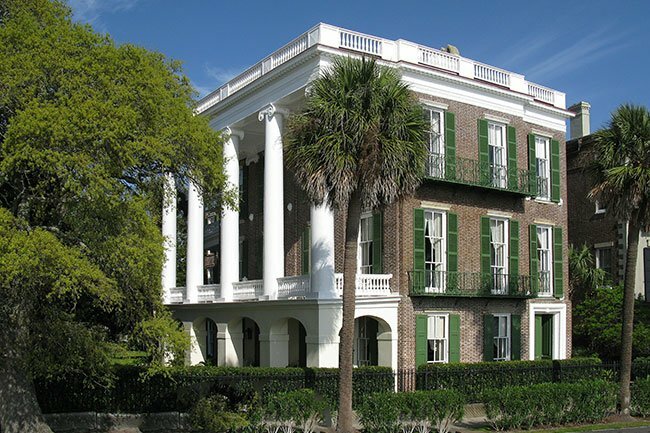 In fact, the imposing manse was the first to grace this side of the Charleston Battery when it was built in 1838 for cotton planter Robert William Roper (whose father donated funds for Roper Hospital). Previously, the city had planned to expand White Point Garden to the eastern edge of the Charleston Harbor. However, the city sold the land in reaction to the financial scare of 1837. Roper purchased two adjacent lots from the city for $8,200, along with a third sliver of land from Isaac Holmes bordering his then-undeveloped property to the north. The city was able to further develop White Point Garden westward to King Street with proceeds from the sale of the lots along East Battery. The Roper House stands two stories tall atop a raised basement and is known for its five imposing Ionic columns. 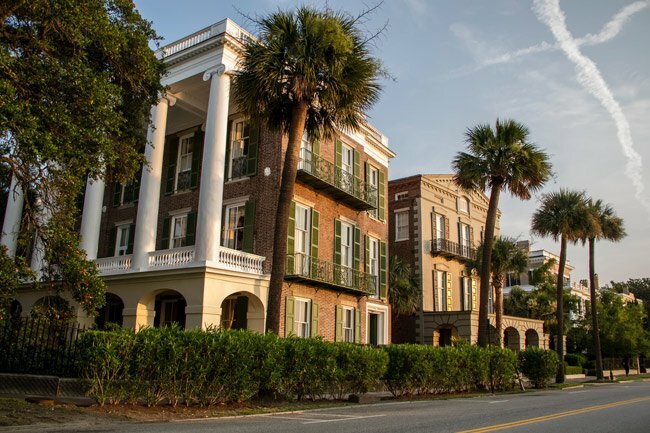 Many two-story homes in Charleston feature double piazzas; the Roper House, however, has just one. The immense scale of the colonnade allows it to both support the portico and be seen easily by ships coming into port. When the home was built, there were no other buildings between it and Low Battery. Thus its wide porch had an unobstructed view of White Point Garden and James Island beyond. Roper, a successful cotton planter whose family owned Point Comfort further up the Cooper River, enjoyed the home only a few years; he died of malaria in 1845. Following the Civil War, the home was purchased by Rudolph Siegling. Rudolph’s father Johann (also spelled John) built instruments and published music; he founded Seigling Music House on the corner of Broad and King streets in 1819. (This Charleston institution remained in business for 151 years, until 1970.) In 1929 the Sieglings sold the home to Solomon Guggenheim, founder of the Solomon R. Guggenheim Foundation and namesake of the Solomon R. Guggenheim Museum in New York. In 1968, the Roper House was purchased by investment banker Richard Jenrette for $100,000 under the condition that the mother of its previous owner, Drayton Hastie, be allowed to remain in the home until her death. Sarah Hastie lived another 14 years on the piano nobile, or main floor. (The Hasties also own Magnolia Plantation.) Jenrette has undertaken a widely-acclaimed restoration of the historic home. During his tenure, several notable men and women have stayed at the home, including Prince Charles, Bishop Desmond Tutu, Prime Minister Margaret Thatcher, President Gerald Ford, and President George H.W. Bush. The Roper House was the first to be constructed on the east Battery (ca. 1838) and its outsized colonnade was built not only to support the portico, but to be admired from across the harbor. The house is typical of its period in that it is built on a grandiose scale, but is more so than almost any other private dwelling in the city. The house is two stories over a basement, built of brick in Flemish bond, and has a flat, balustraded roof with an Ionic entablature. The portico is giant-order Ionic pentastyle above a ground-floor arcade of stuccoed brick. 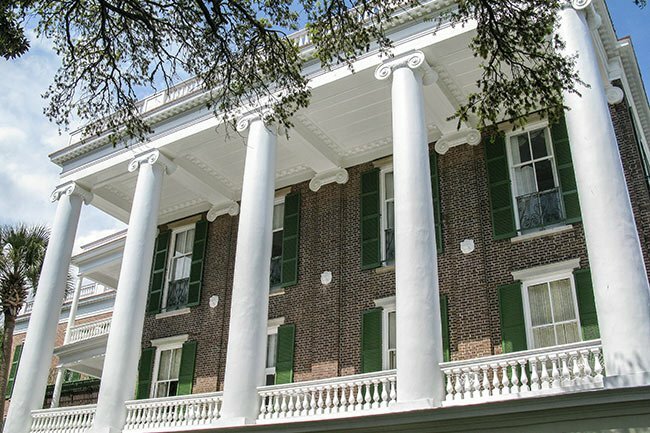 The five-columned portico is an unusual feature in Greek Revival buildings in the state. 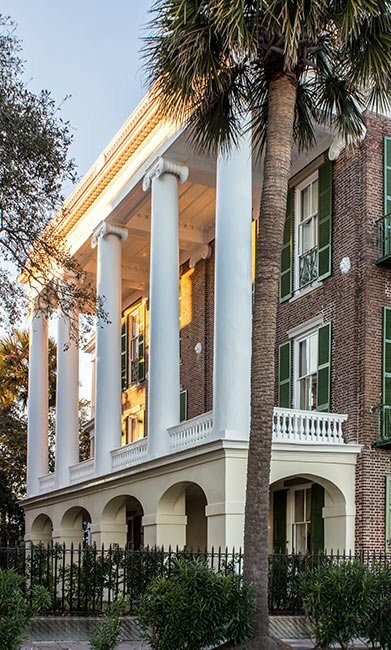 Unlike most Charleston houses, the Roper House portico does not have a second-story tier to break the height of the columns. Another unusual feature of the house is that the roof of the house proper and that of the portico are incorporated into a single unit; this treatment was not generally found during this period in the state. Although records have been destroyed, the detail of the house would point to E.B. White as its architect.